The Canadian Curling Association will take over sole operation and decision-making for future editions of the World Financial Group Continental Cup, it was announced today. The curling version of golf’s Ryder Cup was formerly a joint collaboration between the CCA, World Curling Federation and USA Curling. But following the 2014 WFG Continental Cup, which is scheduled for Jan. 16-19 at the Orleans Arena in Las Vegas, the CCA will take control of the event. 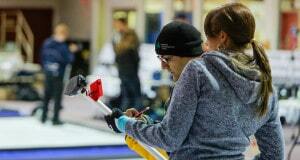 Among the changes for future editions of the WFG Continental Cup will be increased Canadian content. 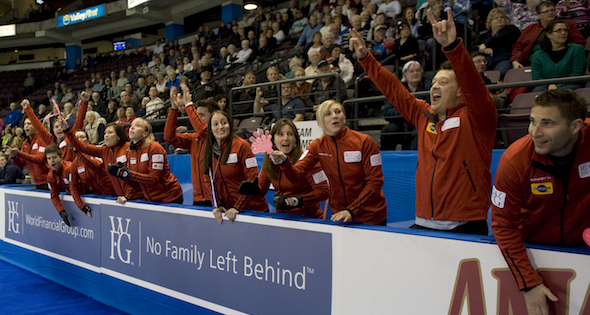 Traditionally, the event pitted a North American side against teams from the rest of the world, with four Canadian (two men’s, two women’s) teams combining with two U.S.-based teams (one men’s, one women’s) to form Team North America. Instead, effective at the 2015 WFG Continental Cup, Jan. 8-11 in Calgary, the event will feature an all-Canadian entry (three men’s, three women’s teams). For the 2015 event, the Canadian teams will consist of the 2013 Tim Hortons Roar of the Rings Canadian Curling Trials men’s and women’s champions Brad Jacobs of Sault Ste. 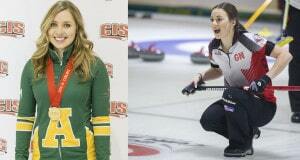 Marie, Ont., and Jennifer Jones of Winnipeg; the 2014 Tim Hortons Brier and Scotties Tournament of Hearts champions; and the 2014 Canada Cup men’s and women’s champions (to be decided Dec. 3-7 in Camrose, Alta.). 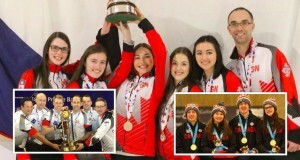 In alternating years, Canada will take on Team Europe (2015, 2017) and Team World (2016, 2018), consisting of teams from the U.S. and other non-European curling nations. Nine previous Continental Cups have been staged, with Team North America prevailing five times, including the most recent edition last January in Penticton, B.C. The first five Continental Cups featured North American teams playing European teams; Asian teams were added to the mix in 2008 at Camrose, Alta., and the Team North America vs. Team World format was adopted. The WFG Continental Cup features a variety of curling competitions, including traditional team games, skins, mixed doubles and singles. Record crowds are already guaranteed for the Las Vegas event, said Stremlaw, and future visits to the U.S. for the Continental Cup are very likely.